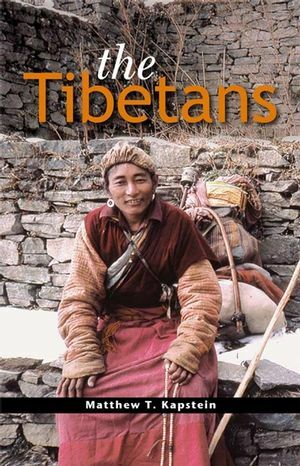 This book provides a clear and comprehensive introduction to Tibet, its culture and history. A clear and comprehensive overview of Tibet, its culture and history. Responds to current interest in Tibet due to continuing publicity about Chinese rule and growing interest in Tibetan Buddhism. Explains recent events within the context of Tibetan history. Situates Tibet in relation to other Asian civilizations through the ages. Draws on the most recent scholarly and archaeological research. Introduces Tibetan culture – particularly social institutions, religious and political traditions, the arts and medical lore. An epilogue considers the fragile position of Tibetan civilization in the modern world. Matthew T. Kapstein is Numata Professor of Buddhist Studies in the Divinity School at the University of Chicago and Director of Tibetan Studies at the École Pratique des Hautes Études in Paris. His recent publications include The Presence of Light (2004), Reason’s Traces (2001), The Tibetan Assimilation of Buddhism (2000) and Buddhism in Contemporary Tibet (1998). A Note on Transcription and Translation. 1. The Vessel and Its Contents. 2. Prehistory and Early Legends. Children of the Ape and the Ogress. 3. The Tsenpo's Imperial Dominion. The Rise of the Tibetan Empire. Later Monarchs and the Promotion of Buddhism. 4. Fragmentation and Hegemonic Power. Dynastic Successors and the Kingdom of Gugé. Tibetan Buddhism and the Ming Court. 5. The Rule of the Dalai Lamas. Cultural Developments in Eastern Tibet. The Life and Times of the Great Thirteenth. Property, Economy, and Social Class. 7. Religious Life and Thought. Propitiation, Therapy, and the Life-cycle. Festivals, Pilgrimages, and Ritual Cycles. 8. The Sites of Knowledge. Formations of Body, Speech, and Mind. Medicine, Astronomy, and the Divinatory Sciences. 9. Tibet in the Modern World. The End of Traditional Tibet. The Promise and Peril of a Century's End. Spellings of Tibetan Names and Terms.